Flight School Studio have announced that Creature in the Well will release on Nintendo Switch, a top-down, pinball-inspired hack-and-slash dungeon crawler. 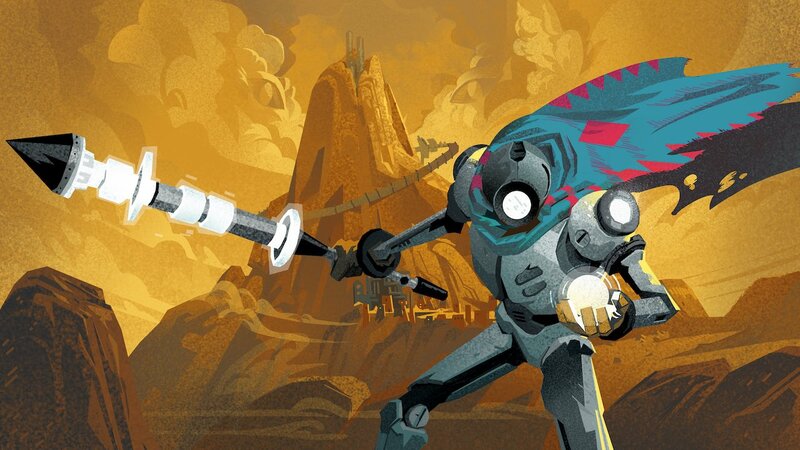 You are the last remaining BOT-C unit and must work to restore power to an ancient facility built deep into a desert mountain, before confronting the ominous all-seeing Creature. To do so, you must overcome the challenges that the Creature has set, beating each of the game’s eight dungeons that are crammed with unlockables and secrets to discover. You will have access to upgradeable weapons and clothing that will change how you play, with gameplay seeing you charge up energy orbs that will bounce and ricochet around your surroundings. Creature in the Well will release on the Nintendo eShop for Nintendo Switch worldwide in Summer 2019.